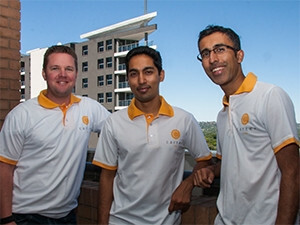 Carter co-founders Tom Gardner, Amit Bholla and Vikash Govindjee have backgrounds in management consultancy and insurance. 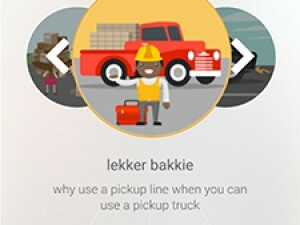 A local start-up has created an app that allows people searching for a new car to 'swipe right' on their ideal purchase. Called Carter, the smartphone app connects car dealers with prospective buyers. The app collates information from dealerships and allows buyers to easily search through the information, without having to visit multiple outlets. The app works in a similar way to popular dating app Tinder: the buyer swipes right if they like the car, and swipes left if they do not. The system learns from the user's actions and what they are looking for and will start showing the user more of the kind of car they are after. After a while of doing this, a short list of suitable cars is created for comparison. The user is then able to speak directly with the dealership through the app to get quotes and arrange test drives. Co-founder Amit Bholla says other platforms assume the buyer knows what they want or need, and start off asking what colour and model they want, not considering all the other options. In Carter, the user starts off by creating a 'profile' and saying what their usage requirements are. The system then tries to 'match' them up with various cars. A screenshot from the Carter app. Tom Gardner, another co-founder, says their platform is different to existing options because it allows users to browse different types of cars together. Previously, there wasn't an 'Edgars' for new cars, says Gardner, who explains: "There isn't anywhere you can browse hatchbacks or compact SUVs side-by-side. The problem with this is that there may be the perfect compact SUV out there for you, you just don't know about it." "By creating a virtual showroom that allows people to browse by usage requirements, we have created a virtual Edgars for cars," says Gardner. The company hopes to eventually be able to have an app that will allow users to order a new car late at night and have it delivered the next morning. The app is free and available for both iOS and Android users.